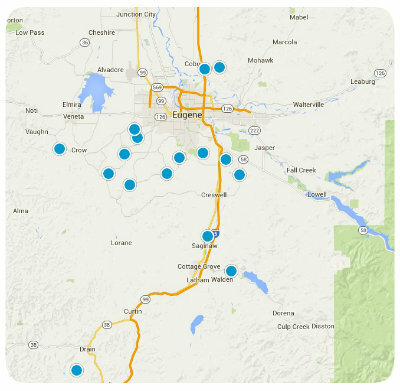 Quickly access all homes for sale and local area information about all of the most popular areas and cities in Lane County, Oregon. Each page contains homes for sale in that specific area, foreclosures in that specific area, homes by price range, brand new construction homes in that area, and popular amenities and things to do in each area. If we can answer any questions about any of the homes for sale or any of the local areas, please don't hesitate to ask!